My everyday memories of my late dad are of him in his paint splattered work clothes smelling of earthy cement (one of my favourite nostalgic scents). I also remember the times when him and mum would dress for a night out or special occasion. There was an air of excitement and favourite perfume as they prepared for the evening. My sisters and I would help by closing zips, ironing dress shirts, helping mum put on her necklace and dad put on his cuff links. Cufflinks have been worn since the 1600s, when they replaced ribbons to tie shirt cuffs. At first the decorative buttons with intricate designs were very expensive and therefore only available to the elite but in the 1800s more affordable replicas were introduced allowing the middle classes to follow this trend too. Once mass production began in the late 1800s cufflinks were even more affordable and available to all. Cufflinks are not just for formal occasions. 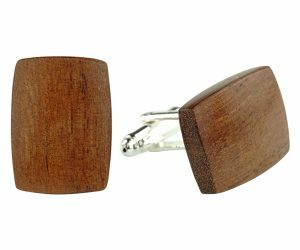 Team a pair of wooden cufflinks with a checked shirt for a casual country style, perfect for a walk in the woods and relaxing by the fire in a cosy pub. Cufflinks add finesse to a work suit. Choose a classic style to wear during office hours. Silver is a good choice for looking both calm and professional. For a special occasion choose premium cufflinks in a style of your choice. From that moment on the chosen cufflinks will be a reminder and memento of the special occasion. Choosing cufflinks for an informal party is the most fun. In this case you can choose a shaped pair to reflect your personality or even add some colour. 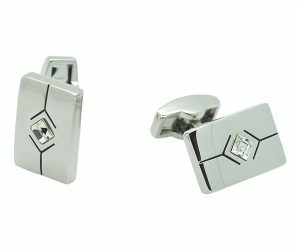 Your wedding cufflinks will be treasured forever. You could wear a personalised pair for the big day or choose a pair that sparkle. If you want to wear coloured cufflinks make sure they match or compliment the wedding colours. 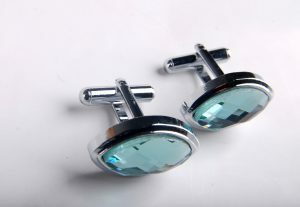 Cufflinks can make a very thoughtful present as there are styles available for everyone. They can represent a hobby, favourite team or rock band. Personalised cufflinks make great mementos for important milestones in life. Invest in future heirlooms that can be passed onto future generations. 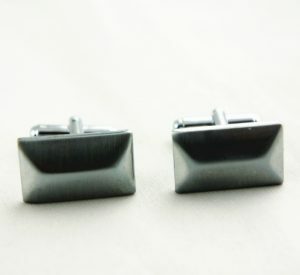 Cufflinks can be worn with either single cuffs or French cuffs. 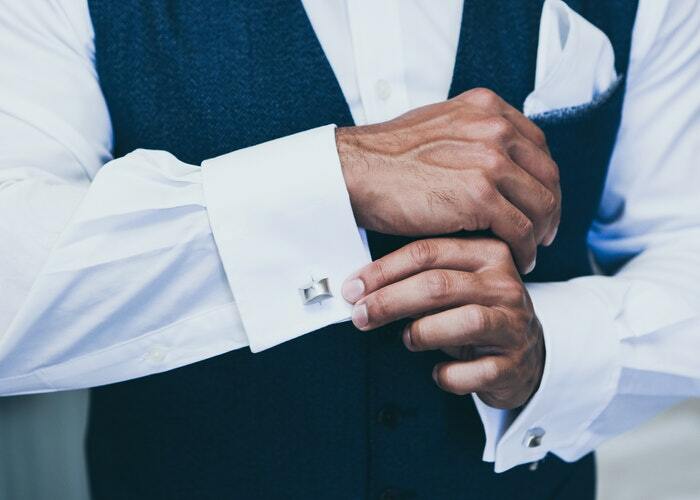 You can also take cuff buttons off any long sleeved shirt to allow the shirt to be worn with cufflinks for a decorative look (it’s these small touches that are often noticed). Line up the holes on the cuff. 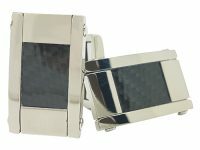 Slide the cufflink through the holes on either side of the cuff opening. Swing into a locked, fixed position to hold the cuffs in place. The sides of the cuff are most commonly matched up with the interior faces touching one another. 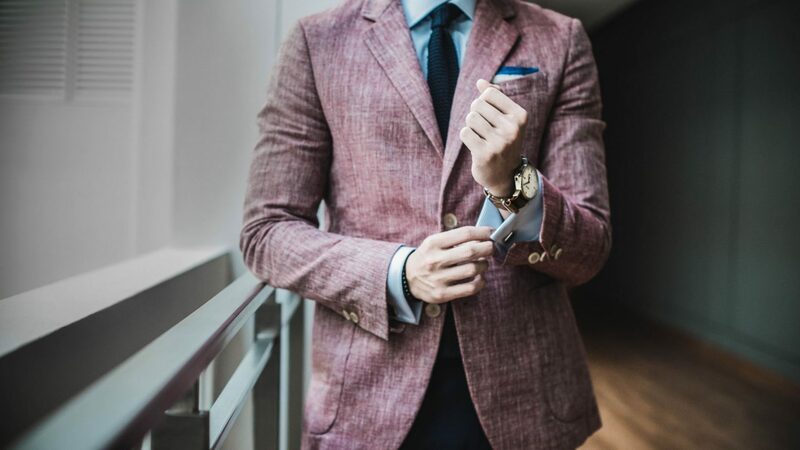 It is not “wrong however”, in fact is it often preferred for business wear, to fasten the cuff sides overlapping rather than touching. Which is your favourite style of cufflink? How do you like to wear them?